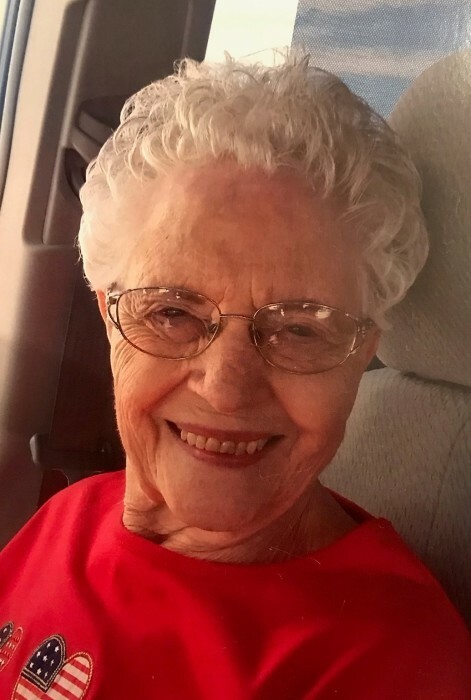 Jeannetta Darlene Craven, 90, a long-time resident of Amarillo, passed away on March 27, 2019. Services will be 4:00 P.M. on Saturday, March 30, 2019 at Brooks Chapel. Jeannetta was born on January 29, 1929 in Abernathy, Texas to Bernyce and Ostell Smith. She was married for 70 years to her loving husband, L.C. He passed away on August 30, 2018. She was also preceded in death by her beloved son, Mike, in 2008. Jeannetta was a member of Trinity Fellowship Church for over 30 years and was also a member, during her lifetime, at First Assembly in Amarillo and Evangelistic Center. She was employed at various businesses, Coca Cola Bottling Company, Security Federal, and Commercial Credit to name a few, but her passion was her family. Homemaking was her life’s work, and she turned it into an art form. Her greatest joy in life was loving and serving her family and she worked very hard at it. She created thousands of delicious meals in her tiny kitchen and masterfully presented them to all who were blessed enough to be around her dining room table. Jeannetta was a beautiful wife, mother, grandmother, great-grandmother, sister, neighbor and friend. She loved the Lord with all her heart and was a fervent intercessor until the day she went home to heaven. Those left to treasure her memory are her son, Doug and his family; stepson, Raphael and his family; sister, Gwendolyn and her family; daughters-in-law, Toni and Holly, grandchildren, Raphael, Jr., Pam, Lyndie, Anna, and their families; numerous great-grandchildren and great-great grandchildren. The family would like to thank the Prairie House in Plainview for their care of Jeannetta.